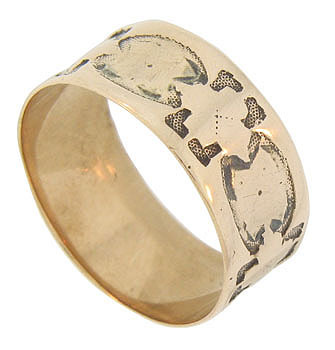 An intricate hand hammered pattern of organic figurals adorn the face of this 14K red gold antique wedding band. A darkened, stippled surface adds greater dimension to the splendid design. 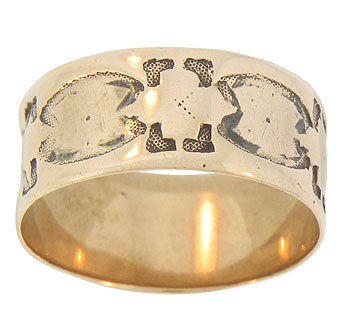 The Civil War era wedding ring measures 7.68 mm in width. Circa: 1880. Size 6 3/4. We cannot re-size.